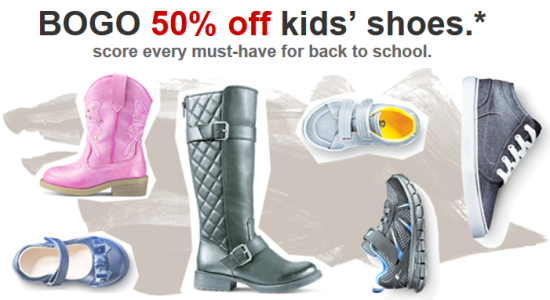 This week both in-store and at Target.com, all kids’ shoes are buy one get one 50% off. If you shop online this sale includes clearance shoes. This sale does not include clearance shoes in-store, but there is a Cartwheel offer for an extra 25% off clearance shoes for the whole family. Get FREE shipping if you pay with your Target REDcard, or FREE shipping on orders of $25 or more with any other form of payment.